A striking thought of the wildlife tour in India evokes images of dark, dense jungles, crackling campfires, nights in tents and shivers of trepidation and excitement down your spine. 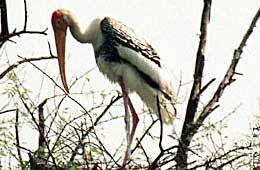 Wildlife tours in India are an experience that is irreplaceable. We offer an incredible variety of wildlife tours anywhere in India, that few can resist! Our wildlife tours are exciting packages that let you explore the adventurous being within you. You could decide to pay the tigers of Ranthambore a visit, or try spotting a Himalayan Snow Leopard in the National parks of Garhwal, or go for an elephant back ride or boat ride. of elephants. 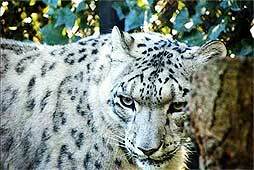 On India wildlife tour you can explore the dense forests,wide variety of flora and fauna on wildlife safari, which provides you with an opportunity to watch and photograph a large variety of species hiding in the interiors. Enjoy an exciting jeep safari and elephant rides at some of the famous wildlife reserves in India which include Ranthambore, Bandhavgarh and Kanha National Parks.On India wildlife tour you can also visit the Ranganathittu Bird Sanctuary, Shivpuri Nature Reserve, as well as the tiger reserve at Bannerghatta National Park and Nagarhole wildlife sanctuary. We at India Profile offer you some of the best India wildlife tours that would add more adventure and excitement to your India tour.